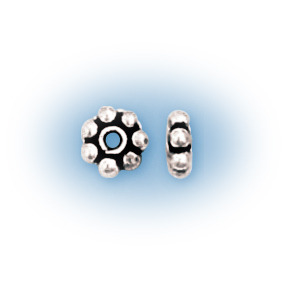 Sterling Silver Bali-Style Daisy Spacer Bead. Measures approximately 6 x 2 mm. Hole is approx 1.4 mm. Weight is approx 3.7 grams for 12 beads.